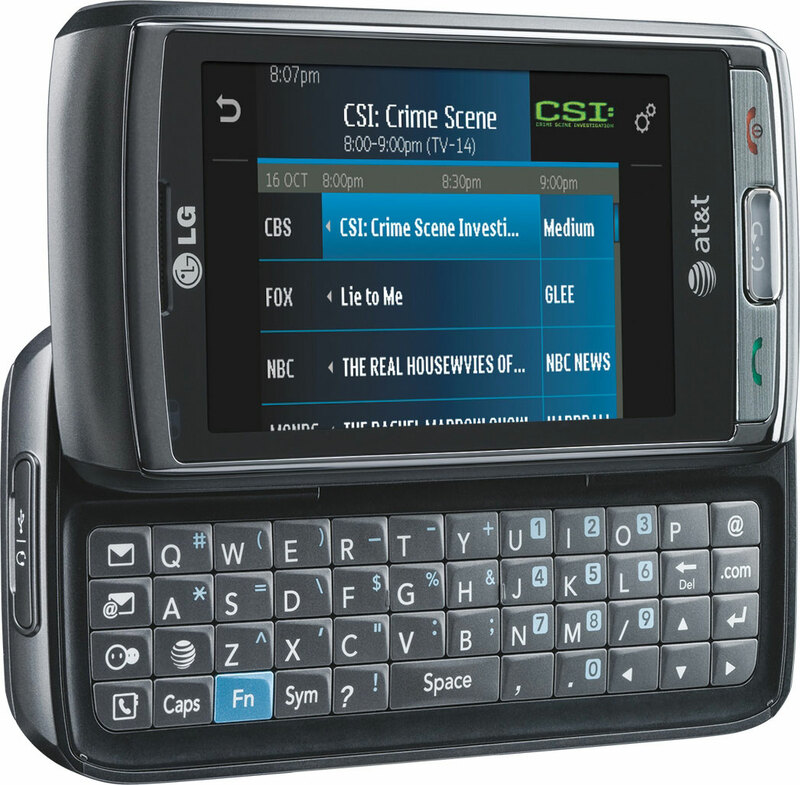 LG Fathom VS750 is Windows Mobile 6.5 professional device with a unique landscape sliding keyboard. Its design is pretty striking from all the handsets out there and it works well for this device. Fathom VS750 has a soft coated material all around the sides that gives a pretty good grip while holding the phone. The metallic back cover gives a feeling of it being tough and durable. It is bit on bulky side weighing 152g and with dimension of 115x56x17 mm it definitely can be noticed pocket. It has fairly detailed looking display which measure in a 3.2 inches 256K colors, 480x800 pixels resolution. It has brilliant display among all the other Windows 6.5 phone out there. The display produces some fantastic resolution that produces some sharp looking texts so you will have any difficulty while fiddling with handset. It has excellent viewing angels and does not fade out or lose visibility when viewed from any angle.Beneath the touchscreen it has 3 physical buttons that gives calling, Windows start home and call end function. On the right side it has the volume rocker button, 3.5mm audio jack and a microUSB port. On the left side there is a dedicated camera shutter key and microSD card slot that allows for hot swapping. On the top it simply has the power button. On the rear you will find a 3.2 MP autofocus camera that can take 2048x1536 pixels pictures along with videos at 30fps on VGA. It has lovely smooth opening and closing mechanism for sliding out its keyboard. When you open the slider you are greeted with a QWERTY keyboard with large buttons. The button are nicely spaced out so typing wont be much of a concern although it will requires getting use for a bit. The only problem that we found was on the right- the four ways navigation key is difficult to make out with the fingers. But besides that it is a very good and comfortable to use. The Windows Mobile 6.5 powered LG Fathom VS750 is powered by the 1GHz Snapdragon processor, so accessing and moving around the platform is very fast with no sign of any lag. 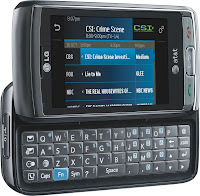 On the home screen you will see the standard Windows Mobile 6.5 user interface with s Windows Start button on the top left and few other easy access menu shortcuts. As far as responsiveness its pretty good for this device. The 3.2MP autofocus camera on LG Mobile Phone produces stunning looking shots with great detail and color on the outdoor conditions with great lighting. Indoor shots are very well but absence of LED flash is greatly missed. Its 3.2 MP camera also doubles up as Camcorder for video recording which again produces high video quality. The phone gives a satisfactory web browsing experience but does not support flash content like android phones. The pages load up very quickly and render them properly. It is during web browsing you will find its touchscreen very handy. As a Windows Mobile 6.5 phone, the LG Fathom VS750 has great appeal to it. Its sliding keyboard is brilliant to work with. The display is crisp and produces some sharp video playback. The phone have many inconsistencies as it doesnt hold up much stronger reception, the touch screen being resistive is bit stubborn. With a phone like this UI is pretty dreadful and doesnt live upto its standard. Overall the phone has many inconsistencies especially with the platform experience but its fine piece hardware ideally suitable for business users. This article is nicely written. A very well written guide to take care of your furnace.